Finding new customers has changed remarkably in the last few years. Customers no longer want to invest a lot of time searching for you or your services. The solution, the Google search engine. This tool has made this process much easier and certainly less time-consuming. Google has no equal in understanding what searchers are looking for, it borders on the creepy when you type in a few letters and it seems to almost read your mind by offering up potential suggestions. This “artificial intelligence” phenomenon is just getting started. If you haven’t embraced Google AdWords, I have one simple question for you – “why the heck not?”. This question may seem provocative, but the only real reason I can think of is that you already have enough business or zero desire for growth. I hardly think many businesses fall into this category so consider 5 reasons to add AdWords and get more new customers. Google AdWords allows you to target only customers who have an interest in your services and reside in your service area. This eliminates the “spray and pray” marketing strategy that has consumed a large portion of your advertisement budget in years past. How effective is AdWords? 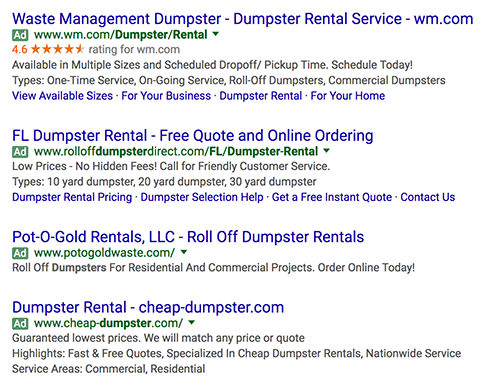 We know AdWords is the fuel to Google’s bottom line, period. They wouldn’t be a goliath company if this service was ineffective…enough said, it works! As A Google Partner, we manage AdWords for many customers just like you and they see the results daily. Online Reviews Are the Equivalent of Currency. Poor reviews or a lack of reviews can cripple a business. Gone are the days where “word of mouth” ruled the day, now online reviews are everywhere and studies show upwards of 90% of consumers make their buying decision based on reviews. The choice is clear, you can dominate your competition with a review generation strategy or you can hope you don’t get dominated. Remember, “hope” is not a strategy! Learn how to generate more online reviews and make the process a breeze. Looking for more new customers? This video contains 8 “must-do” tips to help you DOMINATE Google Maps and improve your local online visibility. 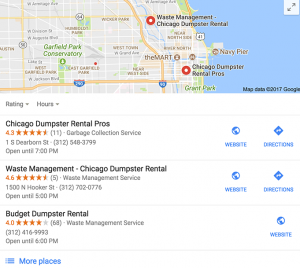 If you are unsure about Google Maps, basically it is the top 3 listings on Google’s search results page (below paid advertisements). Google now calls these listings Google Maps. This is where your business information resides, things like your location, website, reviews, and other contact information. 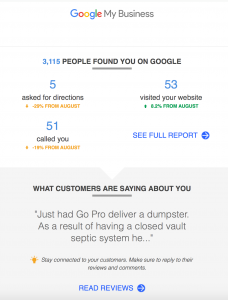 Showing up consistently on Google Maps will generate a lot of new business. All local home service providers need to be located here! My goal is to help you dominate Google Maps with 8 important tips.